1Not available with special financing, lease and some other offers. See dealer for details. 2Not available with special financing, lease and some other offers. See dealer for details. 3Conquest % Cash Back. Stackable % Cash Back for customers who have owned or leased a 2005 or newer Non-GM Vehicle for a minimum of 30 days. Allowance Available on Retail Programinfo. Compatible with % Off and Conquest Priviate Offer ONLY. 4Special pricing for GM Employees. Restrictions apply. See dealer for details. 5Valid to employees of educational institutions. Restrictions apply. See dealer for details. 6Monthly payment is $13.89 for every $1,000 you finance. Example down payment: 15.0%. Must finance with GM Financial. Some customers may not qualify. Not available with lease and some other offers. Take new retail delivery by 4/30/2019. See dealer for details. 1Not available with special financing, lease and some other offers. See dealer for details. 2Not available with special financing, lease and some other offers. See dealer for details. 3Special pricing for GM Employees. Restrictions apply. See dealer for details. 4Valid to employees of educational institutions. Restrictions apply. See dealer for details. 5Monthly payment is $13.89 for every $1,000 you finance. Example down payment: 15.0%. Must finance with GM Financial. Some customers may not qualify. Not available with lease and some other offers. Take new retail delivery by 4/30/2019. See dealer for details. 1Not available with special financing, lease and some other offers. See dealer for details. 2Not available with special financing, lease and some other offers. See dealer for details. 3Valid to employees of educational institutions. Restrictions apply. See dealer for details. 4Special pricing for GM Employees. Restrictions apply. See dealer for details. 5Monthly payment is $13.89 for every $1,000 you finance. Example down payment: 15.0%. Must finance with GM Financial. Some customers may not qualify. Not available with lease and some other offers. Take new retail delivery by 4/30/2019. See dealer for details. 1Not available with special finance or lease offers. Take delivery by 04-30-2019. 2Valid to employees of educational institutions. Restrictions apply. See dealer for details. 3Special pricing for GM Employees. Restrictions apply. See dealer for details. 4Monthly payment is $13.89 for every $1,000 you finance. Example down payment: 15.0%. Must finance with GM Financial. Some customers may not qualify. Not available with lease and some other offers. Take new retail delivery by 4/30/2019. See dealer for details. 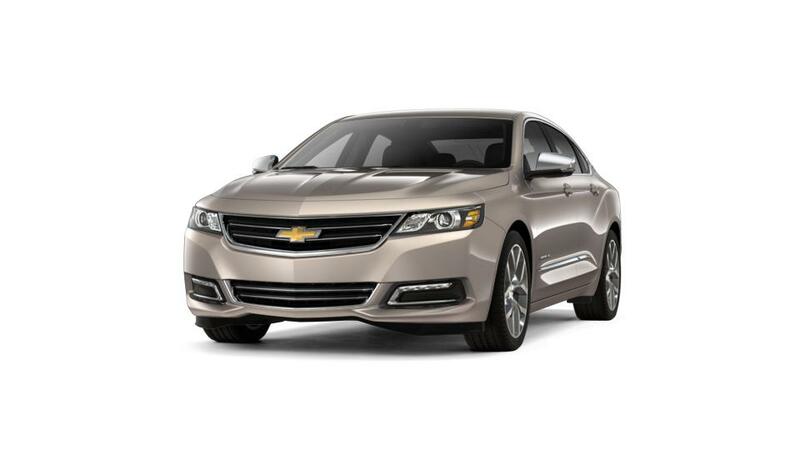 Synonymous with accessible luxury in a full-size sedan, the new Chevrolet Impala, available in Lewes, has been America’s most attainable prestige car. With a combination of performance and comfort, it is a car built with sophistication and power in mind. Offering a powerful engine and aerodynamic body style, the new Chevrolet Impala on Lewes roads, can easily handle any driving situation you may encounter. It is loaded with passenger and cargo space to accommodate anything and everything you may need to enjoy your daily commute. The new Chevrolet Impala, available in Lewes, offers a luxurious cabin with an assortment of entertainment options for drivers and passengers alike. It is easily the Chevrolet of your choice. Our dealership supplies a varied inventory of the new Chevrolet Impala in Lewes.